Japanese shoot-fighter Kazushi Sakuraba is as important to mixed martial arts as David Bowie is to music. He played a seminal role in the development of MMA, fighting in all the major events of his time: PRIDE, UFC, K-1, and Dream. Coming from a pro wrestling background, his style and humor brought thousands of fans to the sport. 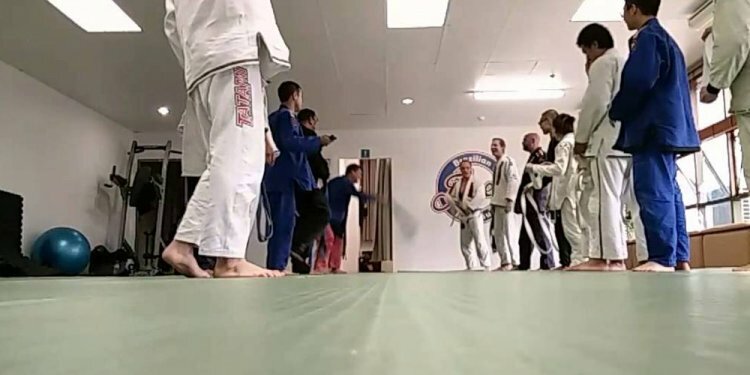 He took on all comers, and earned the nickname ‘The Gracie Hunter’ by beating a handful of representatives from the first family of jiu jitsu—including a 90-minute bout with Royce Gracie. His last MMA match was in 2011, but Saku recently competed in submission-grappling tournament Metamoris 5, which happened to be only the second time the reclusive Japanese legend had visited the United States. His quirky brand of humor shines bright as he rolls around the mats, and although these videos made us laugh, we really just can’t get over how in-shape he looks. Watch our favorites below.